The Fall 2011 issue of RFD Magazine is dedicated to Walt Whitman and Edward Carpenter. My essay about Whitman, Montana, and Allen Ginsberg "Stranger if You Passing Meet Me" can be found therein. 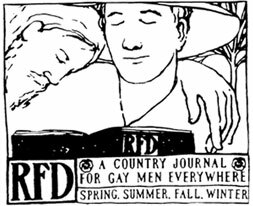 RFD Magazine is that began in 1974 after "The Whole Earth Catalog" refused to print anything about gay men. 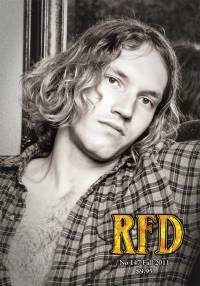 Originally aimed at reaching rural gay men, RFD has since expanded to include the the Radical Faery Movement and the larger LGBTQ community. It is the oldest reader-written quarterly for gay men in the world, now entering its 37th year of print. Winged City Chapbooks, Contests, Publication!